Found this auction today. Do you think it's actual? Advice needed as someone I know may pull the trigger. Details look extremely soft (probably a recast? ), ab buttons appear to be molded into the chest, looks like very thin plastic, possibly not even ABS. I mean, you can certainly buy it and make a suit, but I don't think it would hold up to trooping and IMO it doesn't look all that great. Perfect that's what I was thinking. It looks like they cast it off their own armor. It's styrene at about 1.5 mm thick. Makerofthings is a known recaster. These threads may help you in your armor search, Chris. Joseph is 100% correct, maker of things is a recaster, and always best not to support these guys. 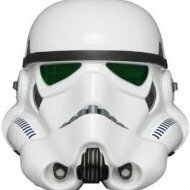 If you want to see the detail loss merely reference the helm; teeth, eye edges and the vocoder, holy rounded edges! Out of curiosity did your friend pull the trigger on this or wait it out? No. After all the advice I got, it was enough to convince him. I’m am amazed how many experts we have here . Who here has this kit ? Answer no one . I have the first kit produced . I was sent the kit because of my build of his ANH sandy kit i did. He saw it and was blown away by the quality of the build. To address the experts uneducated opinions . 4 kit is .60 Styrene i bent mine double trying to break it on my sandy . It ain’t ABS but it ain’t $800-1200 either . 5 did he use some of jim’s kit ? I am sure he did . I have Jim’s kit . It’s a good kit but resizing is difficult . 6 cover strips are separate pieces and well formed with good detail . 7 i have tropped no leas that 10 times in my sandy from him . I have yet to have an issue . In fact i have had several cracks in my ANOVOS kit . (ABS ) it’s all in how you build it. 8 i will be posting pictures and videos of my build on my YouTube channel TK64211 for people to see the process i use to reinforce my kits to keep them sturdy and functional. 9 in the future before you offer an opinion it might be a good idea to do from an educated standpoint and not a blindly biased opinion . Opinions are just that, opinions... next time you feel like getting on your high horse and talking down to everyone you can take a step back and go somewhere else this isn’t the place for that. Questions were asked and answered, ultimately it’s the buyers decisions to buy what they want. If you read the answers it includes phrases like “looks like” nobody is looking at the armor in person so nobody can be sure, and the maker is a known recaster, nobody made that up. If people want help from us we will help with any armor they buy, but when you ask our opinion we are all gonna be partial to the armor we own or have worked with or know is from a vetted maker. 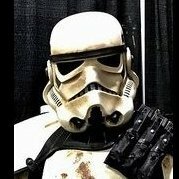 You could have easily gotten on the forum and given your opinion and it would have been accepted well and we would all love to see how you modified it for 501st approval so when others get the armor we can help guide them. Instead you decided to bash a bunch of people who give up time with their families to answer questions about builds to complete strangers. So in the future when you want to bash everyone who was nice enough to give their opinions, go elsewhere. Just MY observations... I mean opinion. I’m am amazed how many experts we seem to have here . Question : Who here has this kit ? 7 i have tropped no leas that 10 times in my sandy from him . I have yet to have an issue . In fact i have had several cracks in my ANOVOS kit . Stress cracks because i wear my suit really right . It is (ABS ). I have figured out how to prevent these now. I believe it is all in how you build it. Wait I'm confused here. Are we talking about the ROTJ armor from Makerofthings in the ebay link above? Or are we talking about another set of armor? If we aren't talking about this set of armor anymore then please excuse my following response to yours. You aren't the only person who commented above who has personally owned a MOT set of armor. I know that 100% for a fact. So there is some first hand knowledge above and not just opinions. Next lets break down this kit if we are actually talking about the ROTJ set of armor in the link. The photos that are in the ebay link show that the ab buttons are certainly molded into the kit. But I'm educated enough to know that the ab buttons were in fact molded onto the ROTJ suits and should not be separate. But you indicated that they are separate in your post above. So if that is the case then that is not correct. You indicated that the cover strips are separate pieces. Well again if we are talking about the ROTJ set of armor in the link then cover strips are in fact supposed to molded onto the armor itself and are not supposed to be separate pieces. Yes MOT is a known recaster. Therefore, we do offer our opinions to stay away from him because he has stolen someone else's hard work just for personal gain. And before you go into the whole yeah it was no ones property to steal to begin with because it was Lucas' and now Disney's and blah blah blah, these original garage shop sculptors and vacuum formers are some of the big reasons why we are where we are today as a legion and they should be shown a little respect and to not have their wares completely copied. You mentioned in your post above my post here before you changed it to "noted" that maybe the only option for this person above was this kit because they couldn't justify a higher price tag? Do you know the original poster "Chris"? Or was that just your opinion? Ultimately if you like your MOT kit then that is great. Everyone has the right to like and enjoy the set of armor they have chosen. If "Emtramone" or Chris ended up buying the MOT kit then he still would have been welcomed with open arms here. But he was asking for some expert advice and/or opinions on the kit. He got the info he was asking for. Unfortunately MOT will never be openly recommended because of what he stands for. Not recommending him does not mean we are elitist. Maybe it just means that we want to recommend sellers who are not unscrupulous like MOT. But you are certainly entitled to "your opinion" to buy an in demand kit at a reasonable price as you put it. We’re talking about the Rogue one / mimban kit offered on eBay by MOT . Which i have the forst one of . My apologies i was redirected here from the post on mimban trooper Facebook post . He was referring to the mimnbam and referebddd the incorrect post here . I have his return of the Jedi kit as well . The buttons are molded into the ab piece . ues it it would not be able to be approved without a great deal of work . MOT has a new mimban kit / Rogue one kit available and that was what i was under the assumption we were talking aboit as this was a direct link in the mimban Facebook post. I will retract my post and apologize as i was wrong . If you do have this kit please post a build thread we are always looking to see how everyone builds. I personally like seeing everyone’s build tricks and would love to see some reinforcement tricks cause it works for any armor. PLEASE tell your friend to not make the purchase if they’re thinking of joining the 501st. For a casual costume, I think it would be great. To the regular, everyday person, they would think it’s a great costume. I posted an image from a costume I had a couple years ago that people thought was fantastic, as did I. Now looking back at it, I want to go back in time and punch myself right in the neck! There are some vetted kit makers on this site for a reason. Buying a kit from a maker of armor which is not vetted runs the risk of being unable to get it properly built to 501st specs. If you aseeking 501st approval the members here are correct . Some of these less expensive kits will require more work than say an Anovos kit or a WTF or ATA armor kit . lower the price more work and time . For me it is a challenge to take one of these lesser kits and make a really great kit from it . Inwould avoid ANOVOS as their customer service is horrible. There have ave been several anovos kits on eBay though from people who have gotten in over their heads or that need to liquidate their kit collection. 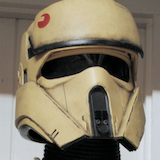 I will will post some pixs of the mimban build with some instructional vids for the build as well . Yeah, I think there are more than a few quality armorers that would like to well, let's just say "Have a few words" with Mr. MOT in person. Could be a Pay Per View event, lol.